"The Goldfinch is sprawling and wonderful. Tartt can detail the process of antique furniture restoration, make you see in your mind a painting that you’ve never seen with your eyes, mine the depths of grief and unrequited love, and make you care about all of it. It is all inextricably bound, what one of my co-workers described as Dickensian. Despite its near 800-page length, I lugged the book on a trip to NYC with me because I couldn’t even think about leaving it behind. I wanted to stay with the characters without pause. 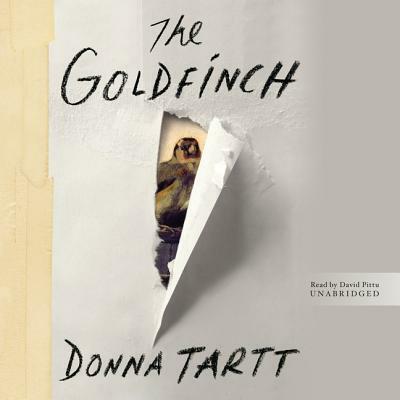 Like Donna Tartt’s other novels, The Goldfinch will stick with me in the best possible way – when a story is close to your heart for the mere fact that it is a great story, one that spellbinds you and demands your attention." A young boy in New York City, Theo Decker, miraculously survives an explosion that takes the life of his mother. Alone and determined to avoid being taken in by the city as an orphan, Theo scrambles between nights in friends' apartments and on the city streets. He becomes entranced by the one thing that reminds him of his mother: a small, mysteriously captivating painting that soon draws Theo into the art underworld. Composed with the skills of a master, The Goldfinch is a haunted odyssey through present-day America. It is a story of loss and obsession, survival and self-invention, and the enormous power of art.